Kliux Energies is a technology focus company with a global presence in distributed energy solutions and the development of energy solutions at site of use, tailor-made to the client’s specifics needs. 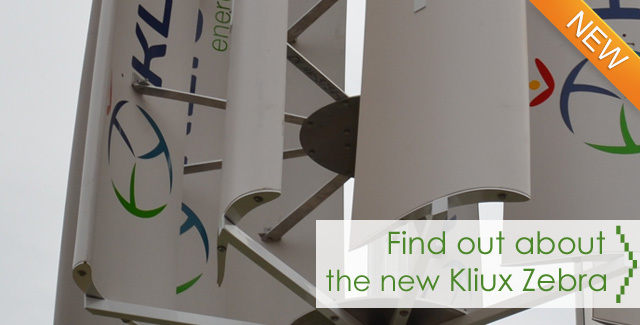 Kliux manufactures and commercializes worldwide proprietary patented vertical-axis wind turbine technology, such their the Kliux Zebra 2kW, Kliux Dragon 4kW and Kliux Eagle 6kW among other models, which may also be integrated into hybrid systems with solar photo voltaic modules. A flexible and scalable wind and solar hybrid system. Vertical axis wind turbine (VAWT) and photovoltaic panels. Suitable for off-grid locations. Kliux Zebra small vertical axis wind turbine (VAWT). The solution for urban or off-grid environments. Save on the electricity bill. In your house, farm, country house, in public buildings, residential buildings, your business, etc. Kliux Energies installed solutions providing benefits to our clients.